Custom software provides your business with a platform precisely tailored to handle all the daily operations and tasks that keep your company moving forward. Having a custom software platform helps your workforce stay on an even keel. We deliver quality application development for web and mobile platforms to drive customer satisfaction along with cost advantages. Along with solution programming. we cater designing and consulting services to diversified industry domains and business areas. We execute any of your projects up to your satisfaction level from a mere concept to the final solution. Pandora X software studio is excellent in IT software development and integration. Our experts evolve bespoke solutions for versatile industry domains to address their specific business needs. We offer technological consultancy to clients by suggesting them preferable platform. We offer effective project execution that starts from software conceptualization to implementation. Our IT specialists create convenient software to help you optimize workflow, analyze healthcare data and enable reimbursable remote care, all wrapped up in an intuitive visual design. We power hospitals, clinics, assisted living facilities and other organizations with task-driven applications to help them reduce readmissions, balance costs and improve outcomes. Pandora X developers bring in years of professional experience (on average) with projects of various scope and size, including large-scale B2C/B2B initiatives. We cover every stage of mobile application development: from drawing up a specification – through UI design, app development and quality assurance – to deployment and publishing on the markets.
" We build and design custom software, mobile apps, and cross-platform solutions that keep you one step ahead of the competition ". If you are looking for a long-term partner to implement innovative ideas that will provide your customers with additional value and differentiate your business in a tough competitive environment, Pandora X is your outstanding choice. We assist in all the aspects of virtualisation from IT infrastructure assessment and gap analysis, infrastructure planning and design, financial analysis, implementation and migration to ongoing management and maintenance. Pandora X technology expertise and automation strategy knowledge empowers Pandora X to provide customers with the first-class consulting services. This ensures improved business efficiency, increased cost-effectiveness and risk mitigation. 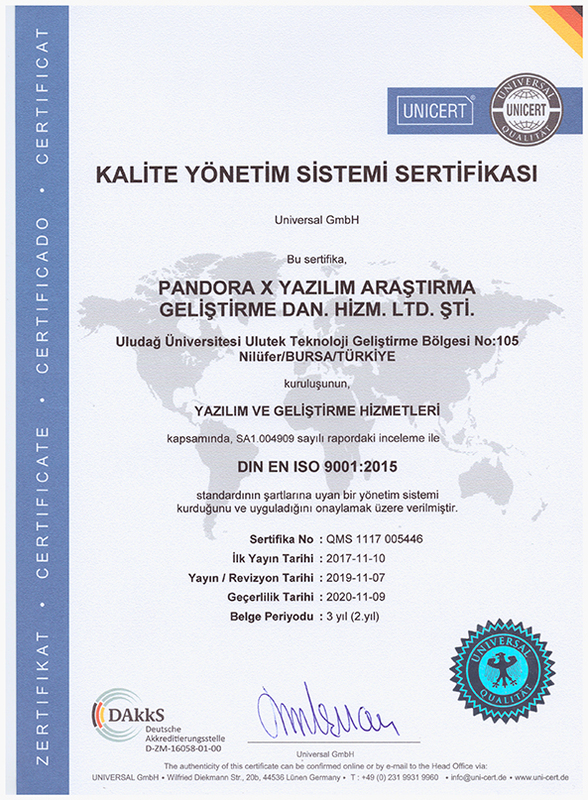 Pandora X Independent Quality Assurance allows for better control of the quality of the application; makes the evaluation of the product’s compliance with the original requirements easy and fast and provides an insight to the product’s convenience for end-users. Pandora X offers a set of value-added services to improve your all round software security and resolves security issues early in the development process to minimise these risks. With Pandora X, you can fully rely on our team to take care of your customer needs. We ensure all round, top-notch user experience for you and your clients; from customer issue management to technical support. Pandora X Software Studios offers a high caliber of resources skilled in C#, Microsoft.NET, Mobile applications and Quality Assurance. Our specialty includes processing data in database healthcare systems, developing enterprise software interfaces and advanced reporting on available data. We have some of the best designers, architects and developers working on our projects every day, Our mobile app developers work with all major mobile platforms. Our experience dealing with healthcare practitioners and providers has assisted us in developing a range of healthcare solutions to suit your needs. We build and design new custom software applications that solve your toughest problems, fit seamlessly into your current processes and systems, and produce measurable results for your business. We are experienced business professionals who use mobile technology to help our clients drive their bottom line. Our focus is to increase the profitability of our clients by increasing revenue or decreasing costs. To maximize the success of the products we develop for clients, it is imperative that there is a process in place to collect data from users, develop a plan for improvements and then execute the next phase.
" Pandora Care Management System has helped us save time and access information efficiently. Pandora will soon make our hospital paperless. "